When you wake up in the morning and it feels like your jeans shrank an entire size overnight, a culprit other than quick weight gain or poor laundry skills may be to blame: excess gas. If your eating and exercise habits haven’t drastically changed recently, chances are that good ol’ fashioned bloating is the problem. Knowing what makes gas build up and then how to get rid of it when it does will make you quite a bit more comfortable. 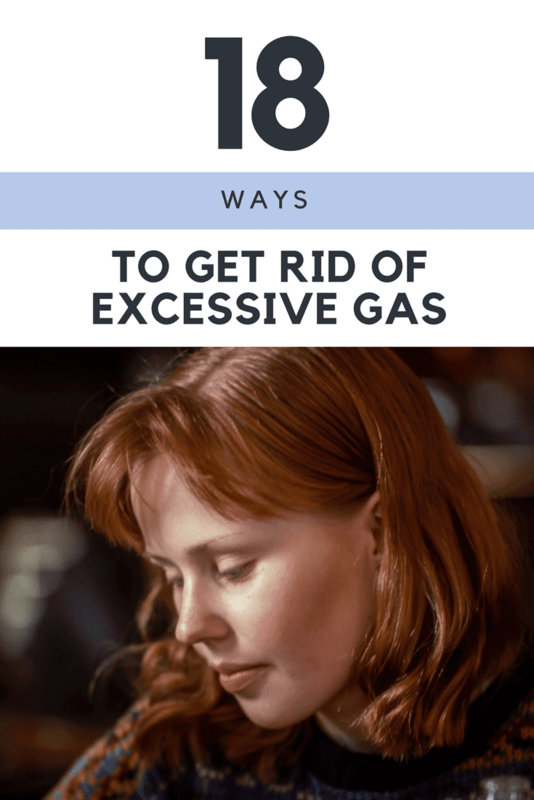 Here are 18 easy ways to get rid of excessive gas. Eating quickly can easily lead to bloating and gas. When you eat on-the-go or have to eat your meals quickly because you’re in a rush, it’s common to overeat. You’re not paying attention to your brain’s signals that you’re full when you’re simultaneously driving or working, for example. Additionally, when you scarf food, you end up swallowing a lot of air, which leads to excess gas in your stomach. When you can, sit down to your meal and eliminate all other distractions. Be mindful about how much and how fast you’re eating. Aside from avoiding bloat, eating mindfully will give you a healthier relationship with food. You’ll discover what tastes good and which portions leave you most satisfied. In turn, this will also help you when you do have to grab a meal on-the-go. Still struggling with bloat even though you have three square meals a day at a table? You may be eating too much at once. Try to break up your three main meals into five smaller meals. However frequently you eat throughout the day, try to keep your dinner time routine every night. The earlier you eat, the more time your body has to digest. That means you’ll go to bed without a belly ache and you’ll wake up with bloating from extra gas. According to Doctor Oz, dandelion tea is a mild tea that acts as a diuretic. It’ll get rid of the gas that’s making you bloated while also flushing out extra water from your system. Aim for one cup of dandelion tea per day, especially if you have chronic issues with extra gas. Yoga can provide a natural, holistic cure for gas-related problems like feeling puffy and bloated. Certain yoga sequences are even designed specifically for getting rid of bloat, reducing stomach pain and flattening your tummy. For example, certain side-to-side twist poses can help to ease abdomen problems like gas and constipation. While practicing those poses, try massaging your tummy, too. Press your fingers next to your right hip, then slide them up so they cross your ribs and then go back down toward your colon. Repeat this in a circular motion to release tension and gas. You can even get some gas-relieving stretches in before your feet hit the floor in the morning. While you’re still in bed and lying down, bring your knees up to your stomach and leave them tucked there for a few minutes. Before getting up, twist your legs from one side to the other. When you need a dose of energy, it’s tempting to pop sports gels or beans. These supplements may give you energy, but they also give you things like maltodextrin and fructose which can be difficult to digest. All of this can make you gassy, bloated or both. If you depend on these supplements to help you get through a tough workout, don’t take them all at the same time. Gobbling them down all at once can lead to bloating, cramping and worse. Take half a pack of the jellies and wash them down with water. If you need more energy, try an orange or a banana. According to Dr. David Williams, excess gas can be caused by not digesting enough protein. 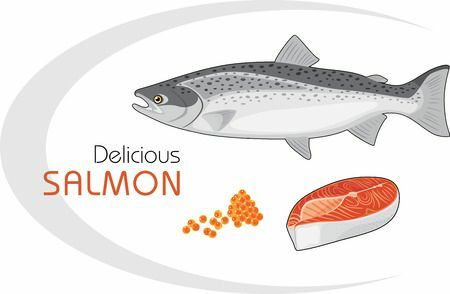 Protein requires the stomach’s hydrochloric acid in order to break the food down. When there’s not enough of this acid in your stomach, the food you eat can ferment, which causes excess gas. To deal with this, front-load your meals with protein. Instead of starting with a salad, eat your protein first and then move on to your salad. Basically, you want to make sure there’s plenty of hydrochloric acid in your stomach to break down the protein-rich foods before moving onto other foods that don’t need as much acid. If you’re still having trouble or you simply don’t want to switch the order of your meals, take a hydrochloric acid supplement like betaine hydrochloride. Keep in mind that you want to take these tablets after eating, not before you eat or mid-meal. Before you add extra acid with the tablets, your stomach should produce as much acid as it can naturally. Stress seems to affect every aspect of our mental and physical health, gas and bloating included. 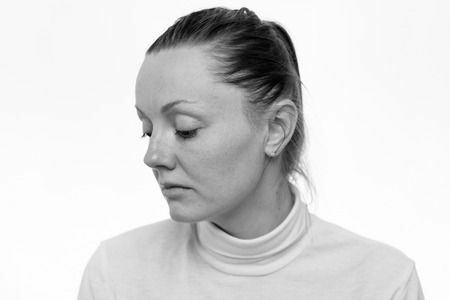 Your stress level can affect your digestive system, which is why some people with gastrointestinal issues find that they get worse when they’re going through particularly stressful times. If you have anxiety, you may hyperventilate when you’re stressed or overwhelmed, which causes you to swallow extra air. To beat bloat when you need it least, try to stay as relaxed and calm as possible even during stressful moments. If you need to, come up with a game plan. Some people repeat a mantra over and over, while others practice deep breathing when they need to control their anxiety. Seltzer is a better choice than caffeinated, sugar-packed soda, but it’s not doing much for your tummy in-the-moment. Seltzer often leads to extra gas and bloat. While it may be a super low calorie drink, the bubbles will make your tummy expand. If you hate drinking water, carbonated water is a good alternative. However, it’s going to bloat you much more than basic water will. If you can’t cut out seltzer and sparkling water completely, try to trade every other glass for regular water. Drinking enough water throughout the day can decrease gas and bloat, partly because it balances out your body’s sodium level. It’s important to stay hydrated even on days when you’re not working out. Aim for 64 ounces of water per day to get rid of unwanted toxins and balance your body. Can’t bear to drink your happy hour cocktail without soda or seltzer as a mixer? At the very least, sip your drink without a straw. When you drink through a straw, you end up swallowing extra air. There are going to be times in your life when you’ll make a big diet change, like when you’re trying to slim down for bikini season or you’re going off your healthy eating plan while on vacation. If you usually consume meals low in fiber and then you start eating extra fiber via bran, salads and fruits, you’re bound to get bloated. This bloating happens because you don’t have the gut bacteria you need to digest all of that extra fiber. Basically, there’s a lot of bacteria in the intestines to process the food we eat, specifically the food that our body has difficulty breaking down. When the bacteria go to work on this type of food, gas is produced. Fiber-rich foods take a long time to digest and, in effect, result in a lot of gas. It may sound easy to simply avoid fiber, but it’s in so many different foods nowadays. Certain foods, like fiber-fortified yogurt, may also contain a lot of the fermentable fiber inulin, which can also lead to excess gas, especially when you eat a lot of it at once. Your yogurt bowl may sound like a healthy breakfast, but it could leave you feeling bloated at the start of the day. To help your body process fiber better, add a little bit at a time. Every week, add another five grams of fiber to your diet, building up to 35 grams, which is the recommended amount. Your body will adjust to the new amounts of fiber and it will have an easier time processing it, which means less gas. Keep in mind that a low fiber diet isn’t necessarily the best thing for getting rid of excess gas. While you don’t want to overload your system with a ton of fiber all at once, fiber is actually great for getting rid of bloat. Foods that are rich in fiber help get rid of materials that are clogging up your stomach and they can also improve digestion. This may all seem contradictory, but if you have the right balance of fiber, you’re on the right path. Basically, you want to eat up to 35 grams of fiber a day in order to stay healthy and de-bloat. If you’re currently eating a lot less than that, slowly work your way up to 35 grams per day without overloading your system, which can cause bloat. According to Doctor Oz, you should strive to take 200 milligrams of magnesium every day. This will expel extra gas while combating fluid retention, two things that can give you a bloated belly. The mineral helps to combat constipation, too, because it helps the muscles of your intestinal walls relax. If you don’t want to rely on a supplement to get extra magnesium in your diet, up your consumption of magnesium-rich foods. Leafy greens, like spinach, plus nuts, seeds, beans, peas, fish and whole greens are packed with magnesium. For a yummy, helpful snack, try hummus made with white beans, which also packs in healthy fiber. One reason why you may feel extra gassy after eating is because the body can have difficulty digesting complex sugars. When compounds that are not yet digested find their way to your intestines, they can ferment and then release gas. Beano combats this because it has an enzyme that will break down those compounds before they wind up in your intestines. It’s important to take Beano at the beginning of your meal, preferably along with your first bite of food. According to Dr. David Williams, it’s not safe to take Beano if you have a mold allergy or sensitivity. Also, you shouldn’t take Beano if you have galactosemia, which is a condition that makes it impossible for the body to convert galactose to glucose. Certain ingredients in vitamins, like lactose, wheat and sugar alcohols, can lead to extra gas production. While you don’t want to stop taking vitamins altogether, look for a multi-vitamin that packs everything you need into one vitamin. Also, look for vitamins with the least amount of ingredients – most of the ingredients should be natural and easy to pronounce. It’s also important to know which vitamins to avoid. Steer clear of vitamins that have wheat germ, food starch or glaze, or hydrolyzed vegetable protein. You can also up you intake of vitamin-rich foods if you’re nervous about taking supplements. The more active you are, the more smoothly your body – and digestive system – will function. Even 15 or 20 minutes of daily activity is enough to fight off extra gas, bloating and constipation. Even on days when you can’t squeeze in more than a quick walk, you’ll be able to keep your belly from puffing out due to extra gas. According to Doctor Oz, an over-the-counter diuretic may be able to provide some quick relief from extra gas. When dietary changes won’t work fast enough, a detox supplement that contains simethicone can dissolve the gas and prevent more from building up. According to Dr. David Williams, if you don’t have the right types of bacteria in your get, extra gas can be produced. One of the best and most holistic ways to balance your gut bacteria is by eating fermented and cultured foods. Foods that naturally ferment, like veggies, milk products, soy products and kefir, offer important probiotics. You may think you’re doing yourself a favor by swapping out regular sugar for artificial sweeteners, but they come with a bad side effect: bloat. A lot of people have a really hard time digesting artificial sweeteners. This can lead to not just extra gas, but also diarrhea. It gets worse. According to Doctor Oz, the ingredients that go into artificial sweeteners can increase appetitive. Overeating leads to excess gas because your body has extra food to break down. It’s also important to know where you can find artificial sweeteners. Hint: they’re in more than those little pink packets at the diner. Artificial sweeteners can be in everything from your favorite beverages to delicious processed foods. Sugar-free sweets aren’t any better. These “diet-friendly” snacks have things like sorbitol and maltitol, which are artificial sweeteners. Sugar-free snacks can lead to extra gas, bloating and diarrhea. It’s very important to drink plenty of fluids when you’re going to be working out, especially if you’ll be outside where it’s extra warm. All of that effort to prevent dehydration can cause bloating, though, especially if you drink quickly and swallow a ton of air at the same time. Too much water won’t just make your belly bloat, either – it can make you feel sick during your workout. Don’t forgo water completely – you need it to keep your digestion healthy because it helps food naturally go through your system. Aim for somewhere between 16 and 24 ounces of water an hour or two before your workout, followed by eight ounces approximately 15 minutes before your workout and sipping water during your workout too. Your body will absorb what it needs to keep you hydrated and you’ll have time to get rid of the rest and prevent bloating. According to Mayo Clinic, sometimes excess gas can be the cause of a more serious gastrointestinal issue. A blockage, disease or infection could be causing extra gas to build up. Irritable bowel syndrome, also referred to as IBS, can cause problems with the bowels and lead to cramping, bloating and pain. While it’s less common, conditions like celiac disease can be the problem. You also may have an intolerance to lactose, which would lead to bloating and discomfort after eating dairy-based foods. If your gas problems persist, it may be time to visit a doctor for a thorough analysis. On the same note, if you’re currently on medication or antibiotics, they could be messing with your digestive tract. A common side effect of many medications is being gassy or bloated. Talk to your doctor if it’s becoming a persistent problem. Most often, excess gas, which leads to burping, passing gas and bloating, is caused by either trouble digesting food or swallowing excess air. Some people only get gas pains once in a while, while others have to deal with uncomfortable or painful gas on a regular basis. Either way, when excess gas is making it difficult to go about your everyday routine, it’s time to make a change. Do you suffer from bloating and gut problems? Please let me know in the comments – thanks! I suffer very badly from bloating , and moving my bowels several times a day with cramping, its on the loose side, no matter what i eat i bloat. I am gluten free and dairy free, no eggs. now the doctor tells me to watch eating high fodmap foods. A year ago Feb 2017 my gall bladder was removed. I seem worse. dont know what to do or what to eat anymore. I don’t feel well.